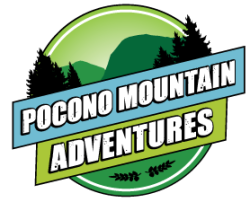 Explore the Pocono Mountains on horseback. Take a scenic trail ride around beautiful wooded forests. No experience necessary! Open year-round, the horse stables offer trail rides where you can reconnect with nature and an earlier time. You’ll learn the basics, meet your horse, and set off into the peaceful woods around the resort. Rides of 30-45 minutes wind around the property and border the Delaware Water Gap National Recreation Area. See website for hours of operation.